Highly productive, fast paced real estate group seeks a highly organized administrative champion to lead office operations. The candidate will exhibit a professional appearance both in attire and phone voice, “top of the morning” positive attitude, a keen eye for details, will work well in a team environment and for extended periods alone, will take direction well but is a born self-starter and creative thinker. The successful candidate will master routine work while advancing newly established objectives set by management. This team player must have experience creating and implementing systems as well as company training guides. A knack for superior customer service is a MUST as client interface is a daily requirement both via phone and in person. Local travel and errand work is expected therefore a dependable vehicle is required. A marketing, mortgage, legal, or title background is preferred. Please follow the link to fill out your Application! 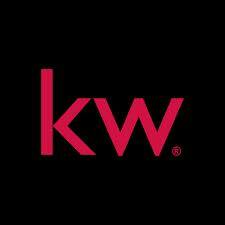 The Four Walls Group at Keller Williams Realty is looking for highly self-motivated, professional sales people who want to enjoy the kind of life a REAL ESTATE CAREER can provide and join a top producing real estate group with all of the advantages of daily lead flow, administrative support, and collaborative team culture. We need help managing the surplus of clients calling our offices! (YOU WILL HAVE TROUBLE KEEPING UP). We are seeking full-time team players to work with us as we serve the greater Metro Atlanta counties. We are only interested in working with the best and those that can prove it. Earning potential is $75k if you are good and up to $150k+ if you are great!. You MUST possess a Georgia real estate license, dependable transportation, and your own laptop. We will train each new hire on our systems and mentor you as you begin your real estate career with our team. You must bring a positive and confident attitude each day as you will be systematically making daily calls to warm leads, setting appointments, and nurturing a database of past and present clients. If this sounds like you or someone you know, complete the information form and someone will be in contact with you to discuss your application. COMMISSION ONLY! Previous sales experience PREFERRED but not required.